You’ve done your self-publishing research and read the self-publishing success stories—and now you’d like to know more about your options. Here’s a handy overview of some of the most popular self-publishing services. Each has its pros and cons, advantages and disadvantages, and proprietary features. Blurb offers print-on-demand services and seems especially suitable for highly visual, "bookstore quality" books. As a testament to Blurb's popularity for visual artists, it was the service of choice for photojournalist Craig F. Walker of The Denver Post - he used Blurb to print his Pulitzer-Prize winning collection of photos of Ian Fisher, a young soldier sent to Iraq. Blurb also has a collaboration with Adobe Systems, featuring built-in Blurb bookmaking functionality within Adobe Photoshop Lightroom. This feature makes the process of book creation turnkey for those photographers and visual artists already using and/or conversant with Adobe Photoshop Lightroom. BookBaby seems friendly and accessible and offers up a number of free marketing resources, along with a friendly blog that dispenses regular advice. Through CreateSpace, self-publishing authors can set up a basic book with no initial costs and get seamless access to its parent company, Amazon.com's, powerful book distribution and merchandising channel. 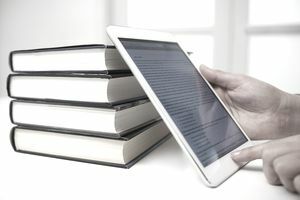 CreateSpace claims to offer "some of the highest royalties in the industry," as well as an easy ebook conversion through its Kindle Direct Publishing (KDP) electronic publishing program (see below). iUniverse uses the term "guided self-publishing" to describe its robust range of DIY publishing services, which are laid out much the same way as in a traditional publisher—at a la carte and package prices. If you want to see your book available both in print and in ebook formats, represented in stores and maybe even in the media--and are willing to pay for the privilege--consider iUniverse. Kindle Direct Publishing offers ebook-only publishing and the advantages of Amazon.com’s online distribution power. Lulu.com is a very popular self-publishing service that offers both a print-on-demand book and ebook digital development capabilities and a wide array of publishing support options. The author picks the package and the price, and promotion is available through Lulu.com. NOOK Press, from the major book retailer Barnes & Noble, offers the distribution of barnesandnoble.com and some of the useful promotional features of being associated with a major brick-and-mortar store. With NOOK Press, there are no upfront costs and competitive royalty rates. With Smashwords, the author is considered to be the publisher of his or her ebook. Unlike some other ebook self-publishing services, Smashwords allows its authors a great measure of control over pricing, and over access to the work. To exploit the Smashwords’ service to the fullest requires the author to take a good deal of responsibility for the quality of the work uploaded to the service, as well as be fully engaged in other aspects of the process.